I think I need an intercooler upgrade ! Intercoolers ? What on earth do they do and why do i need one ? Reducing the tempreture of the intake charge will give you more reliability and more power and keep you engine in one peice…..excessive induction air tempretures can lead to detonation and engine failiure. Intercoolers increase the efficiency of the induction system by reducing induction air heat created by the supercharger or turbocharger. Typically air leaving an intercooler can be around the 300 degree mark…an efficient intercooler needs to pull this down to around the 30 degree mark ! A decrease in intake air charge temperature produces a denser intake charge which flows into the engine. The cooler the charge tempreture the more oxtgen there is per CC of air being forced into the engine. Lowering of the intake charge air temperature also eliminates the danger of pre-detonation (knock) . 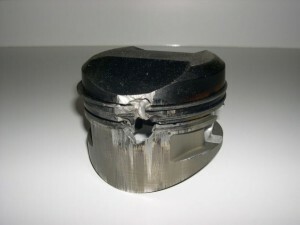 Detonation is an engine killer and it happens fast without efficient intercoolers – result melted pistons ! Intercoolers eliminate the need for using the wasteful method of lowering intake charge temperature by the injection of excess fuel into the cylinders’ to cool the intake air charge, prior to its flowing into the cylinders. This method caused bore wash and caused massive premature wear to engines and was never a viable option long term. Turbochargers and superchargers are engineered to force more air mass (oxygen) into an engine’s intake manifold and combustion chamber. Intercooling is a great method used to compensate for heating caused by supercharging. Intercoolers that exchange their heat directly with the atmosphere are designed to be mounted with maximum air flow paramount. 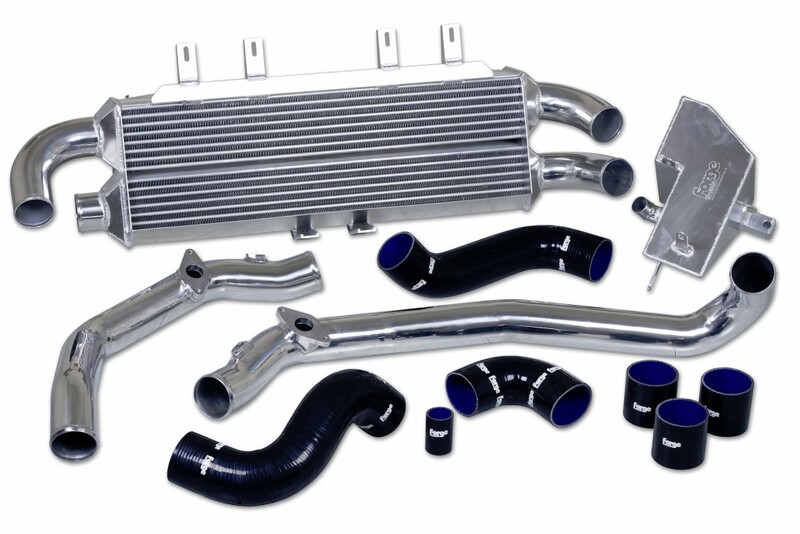 Intercoolers are mainly mounted at the front of the engine and the radiator to ensure maximum air flow and the resulting cooling effect that this will have. 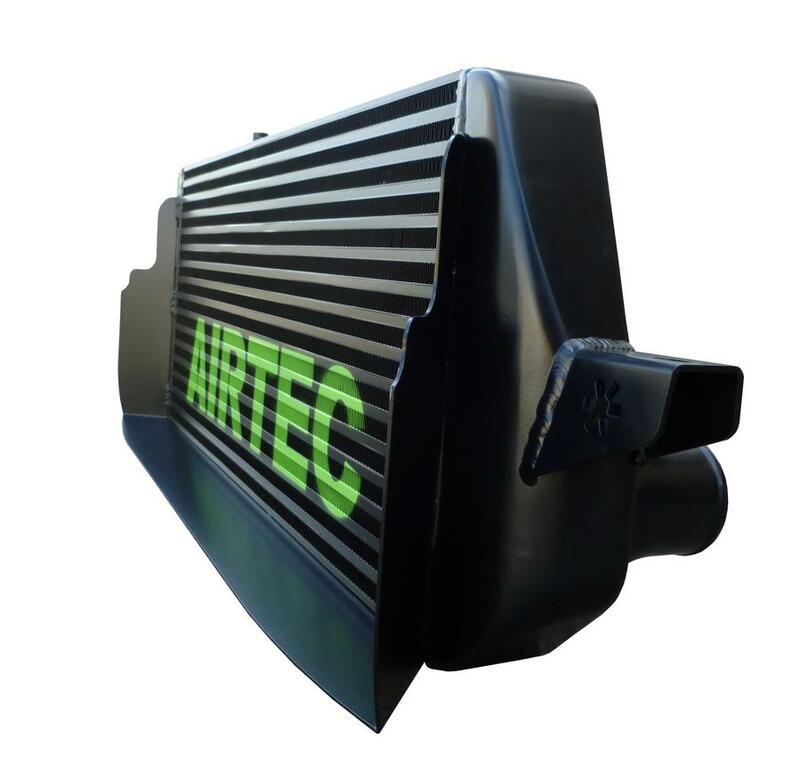 There are direct replacement upgraded intercoolers available which whilst a direct fitment are bigger and more efficient and will give you in many cases better throttle and turbo response as well as performance gains as the charge tempretures are brought down. There are also Front Mount Intercooler kits which tend to replace smaller stock units and in most cases are fitted as part of a tuning project. A little tip here…price really does matter and the cheaper that the systems are the longer they take to fit with many kits taking 4-7 hours !